Ryan McGowan and Alistair Carter have netted another official Guinness World Record for the Cambridge Central Bowling Club – and raised funds for autism in the process. Cambridge Central Bowling Club members Alistair Carter and Ryan McGowan heard earlier this month that their marathon attempt in early 2018 has earned the club its third Guinness World Record. 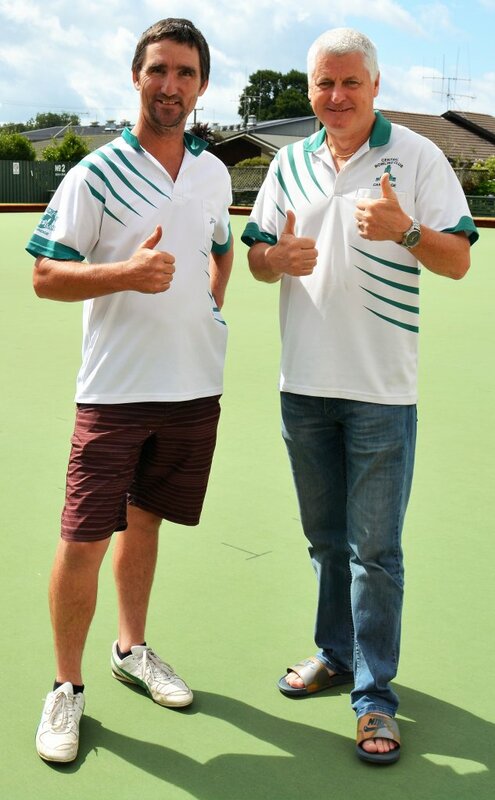 On February 17 last year, the pair launched into an attempt to set the record for the longest singles endurance lawn bowls marathon. They ended up doing just that, playing for 27 hours and 59 minutes in a gruelling attempt that saw them take just one 10-minute break every two hours. News came through a couple of weeks ago that their attempt had finally been verified, granting the club the Guinness World Record (GWR) title for the longest singles endurance lawn bowls marathon. The marathon also raised $1156 for the New Zealand Autism Society, a decision the club made as some of its members have grandchildren with autism. This is the club’s third Guinness World Record. Six members secured the first in March 2016 when they played for 172 hours and 7 minutes to land the longest marathon playing outdoor bowls record. On that occasion they raised $2440 for the Waikato/Bay of Plenty Cancer Society. The second was attained in October 2016 when six club members played for 52 hours, securing the longest marathon playing indoor bowls record, and raising $5350 for Cambridge Riding for the Disabled. The process of having their attempts verified is not insubstantial. A great deal of detailed planning needs to go on beforehand to ensure that the correct information is collated as the games are played for presentation with the club’s application. That includes uploading all the camera footage and scanning all evidence of the attempt. Lighting and showers have to be in situ to support the bowlers, sustenance provided, and medical help at the ready. “We have the easy part – just playing,” Alistair laughed, offering up high praise to club members, local companies and other volunteers who supported the latest effort by either offering sponsorship, providing equipment or backing up the players during the game. “They all came together with whatever was needed. It was very helpful … we’re really very grateful,” he said. Even with three records in the bag, Alistair isn’t ready to call it quits.